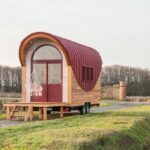 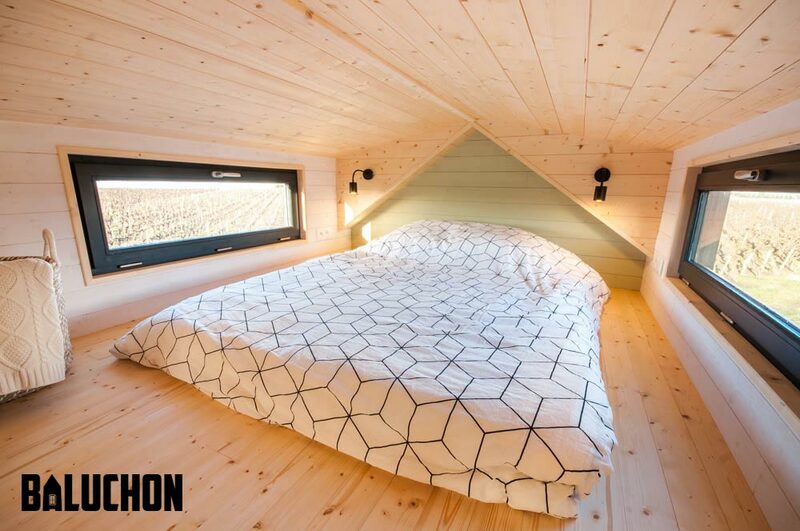 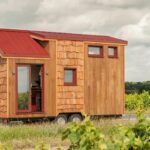 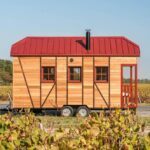 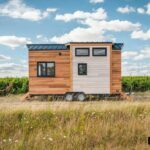 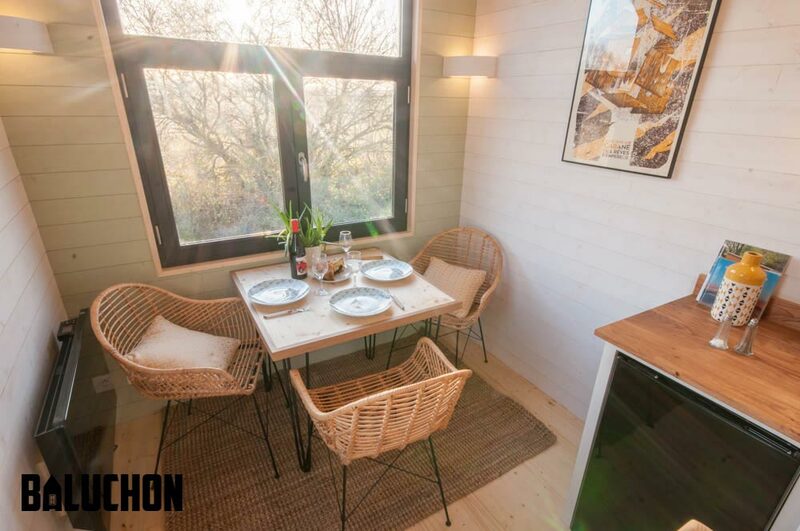 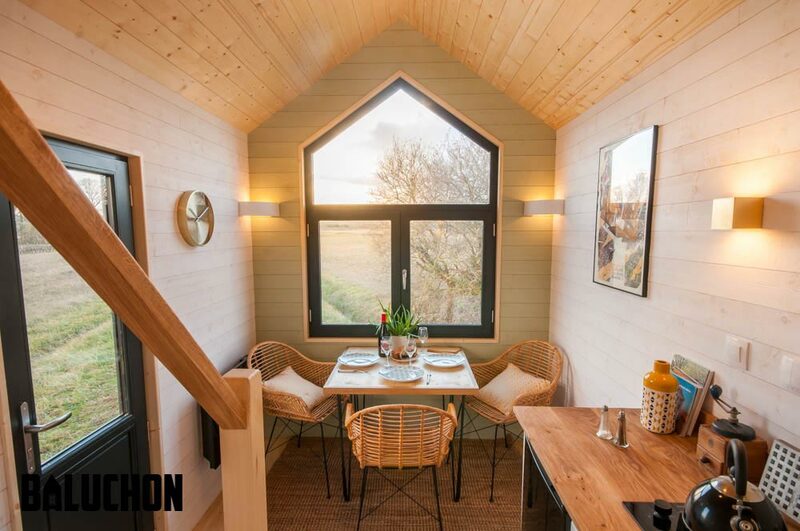 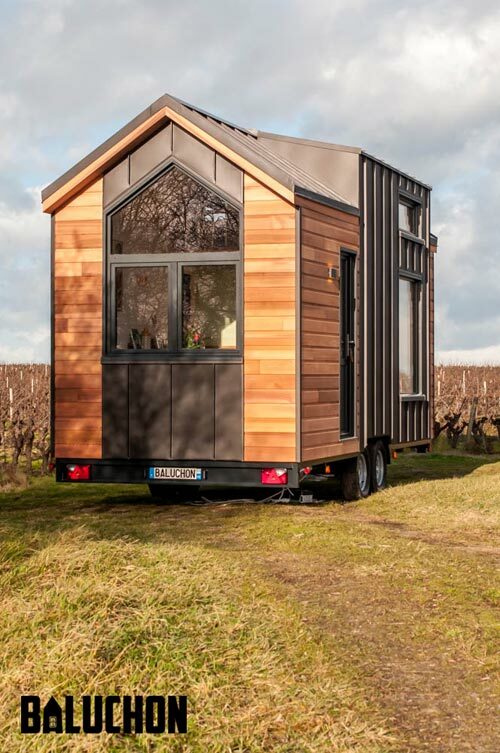 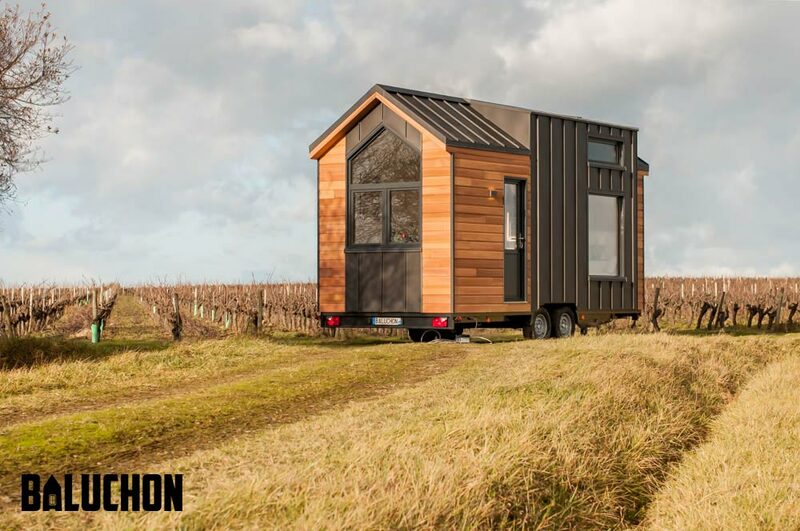 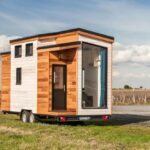 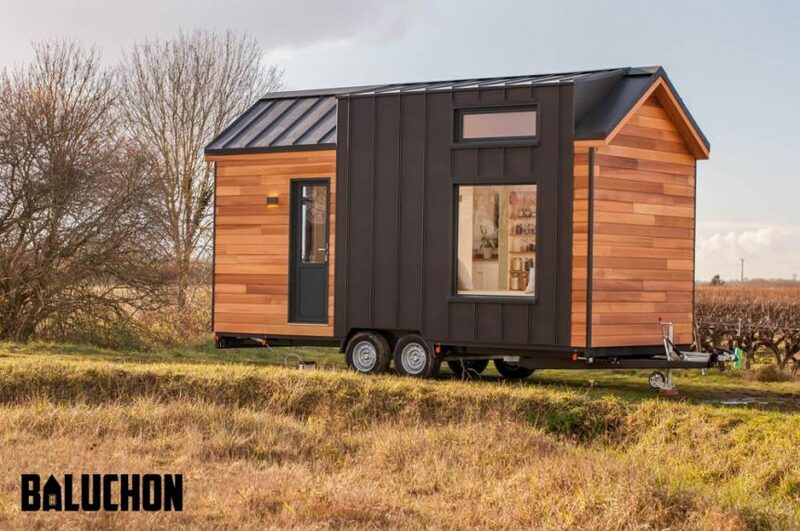 French builder Baluchon created this beautiful tiny house, named “Little Prince,” using zinc and red cedar cladding. 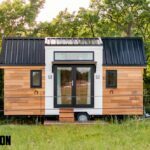 Zinc is a waterproof, malleable material with a long lifespan of 80-100 years. 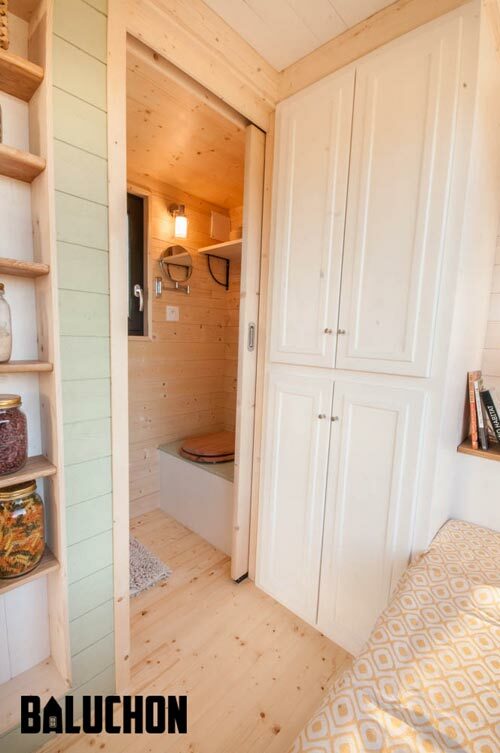 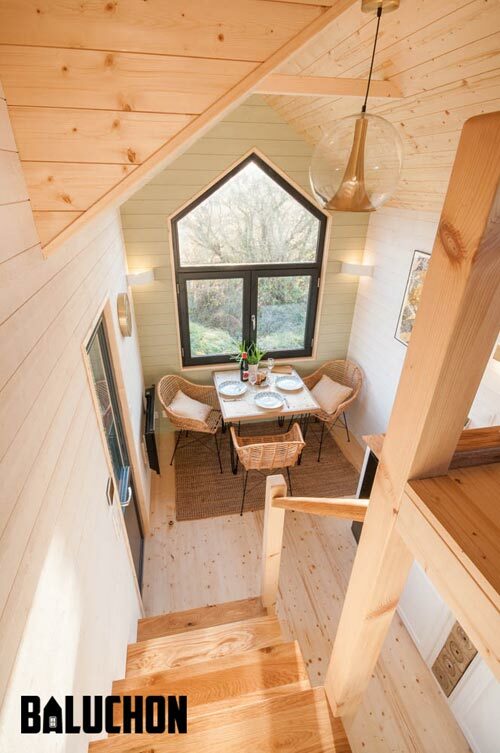 The 6-meter tiny house features solid spruce floors and a mix of natural spruce, raw white spruce, and green spruce wall paneling throughout the home. 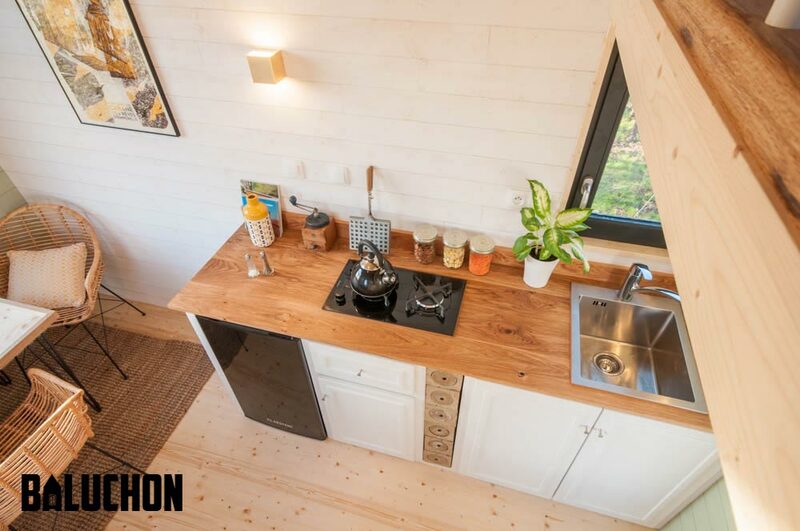 The kitchen is equipped with an under counter refrigerator, two burner cooktop, sink, wine storage, water heater, and a double flow VMC for ventilation. 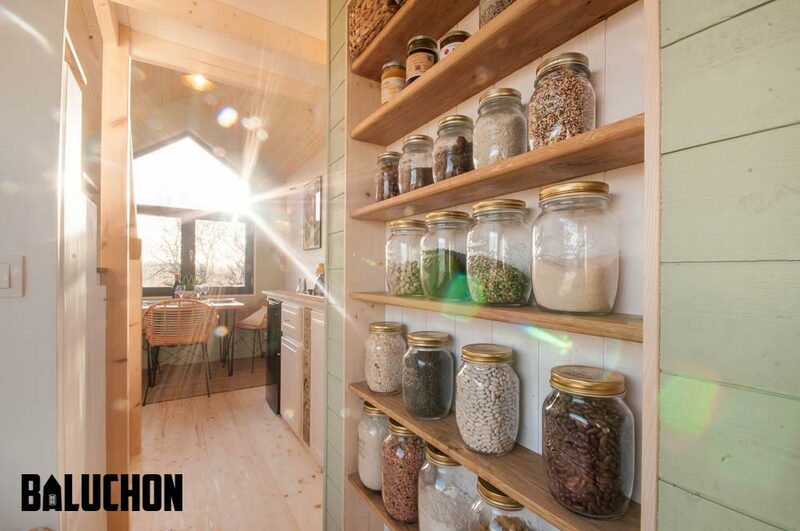 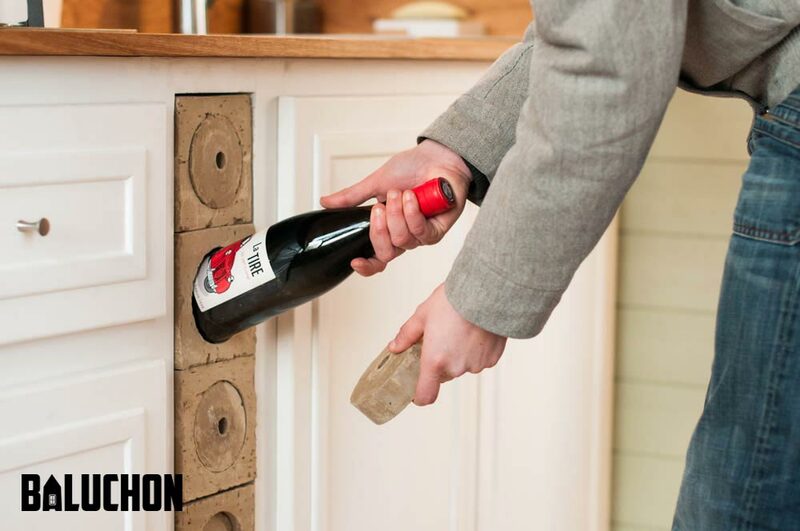 There is a large storage space for jars and next to the kitchen is a dining table for three people. 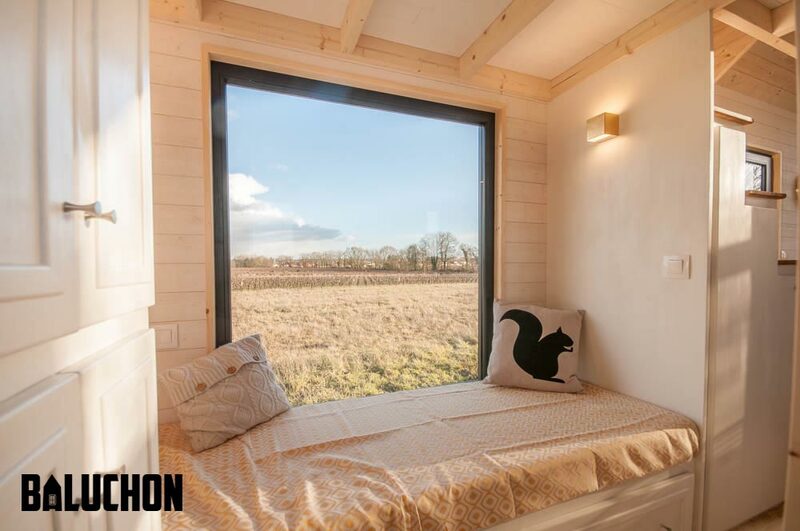 A lounge area is set in front of a large picture with with unobstructed views. 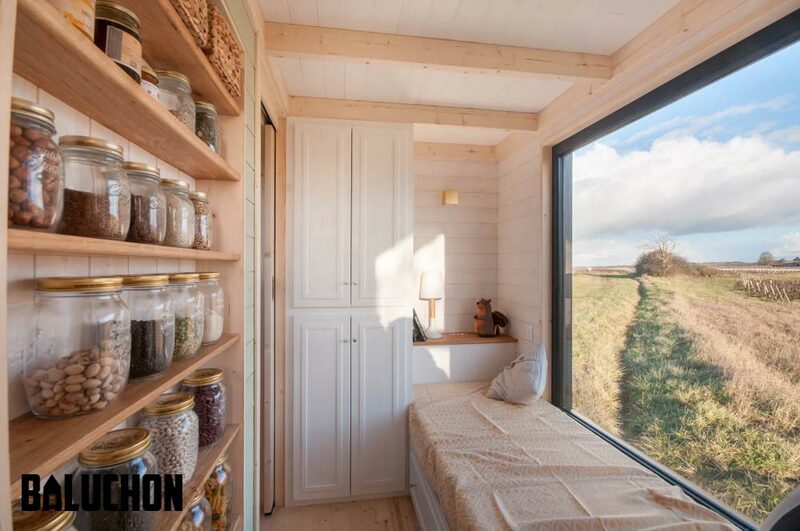 A wardrobe is next to the area, allowing it to be used a a second bedroom if needed. 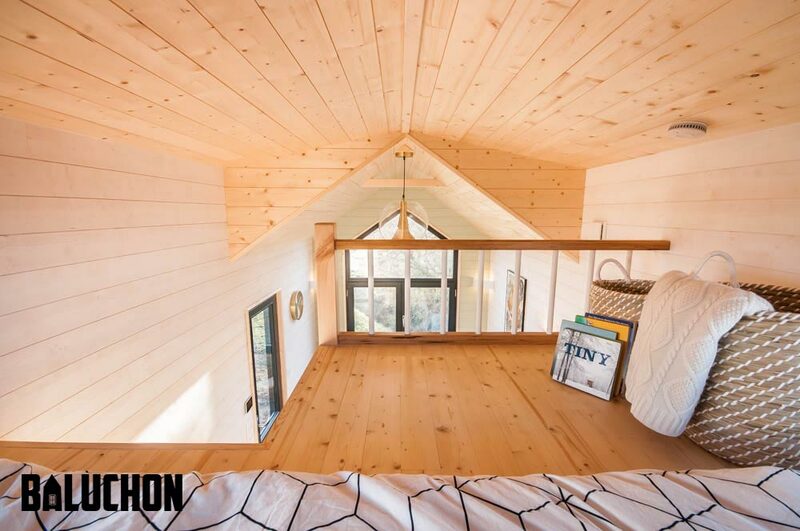 The main bedroom loft has plenty of room for a queen bed and a dresser. 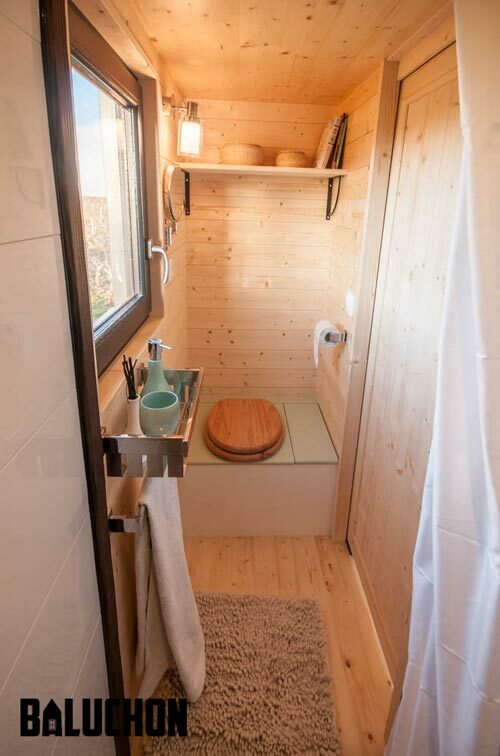 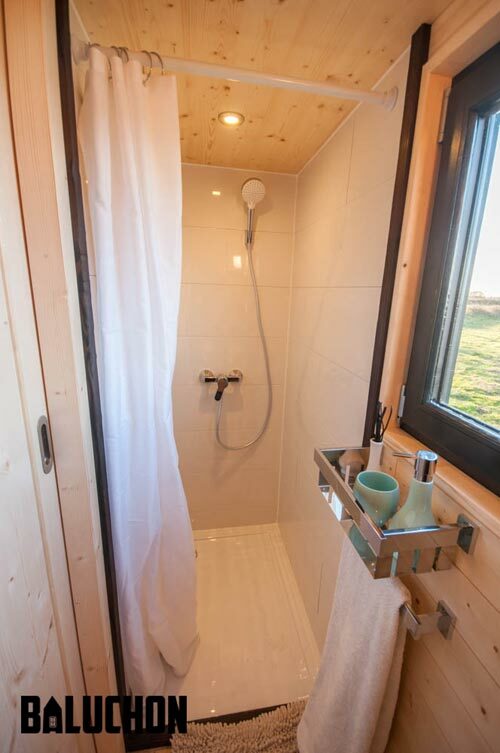 A pocket door leads into the bathroom where you’ll find a show and dry toilet with wood chips. 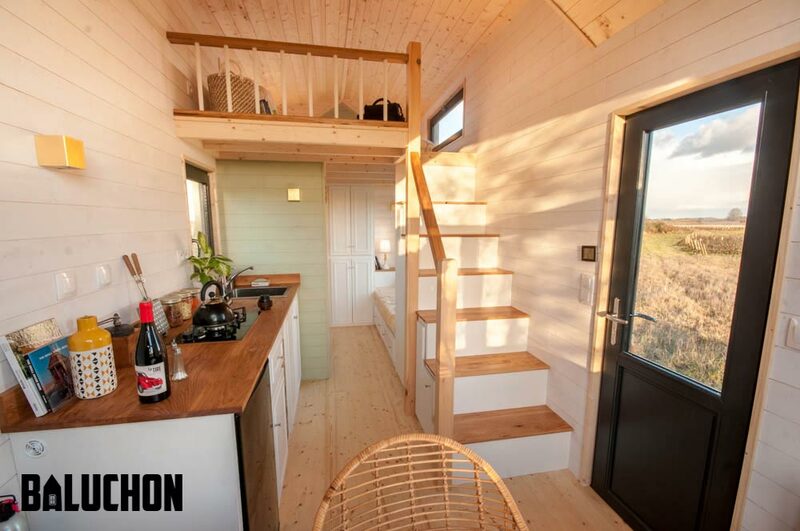 For more information about the Little Prince, please visit the Baluchon website.